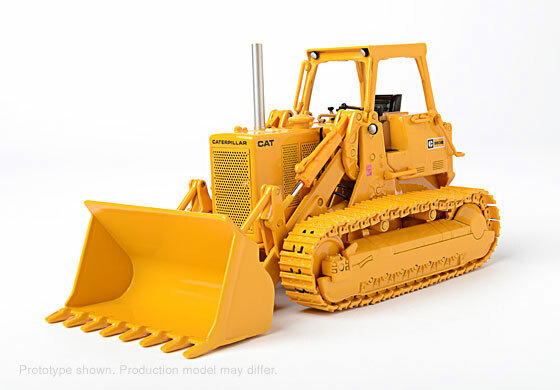 This die-cast model of the 983B has fully articulated bucket, lift arms, and hydraulics. 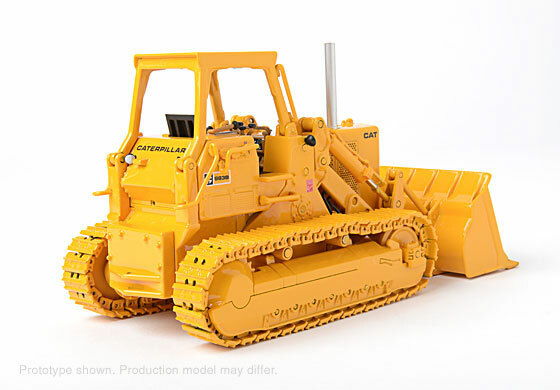 The complete cab is accessible through opening doors, and functional track assemblies with free-rolling sprockets, rollers, and metal track links. 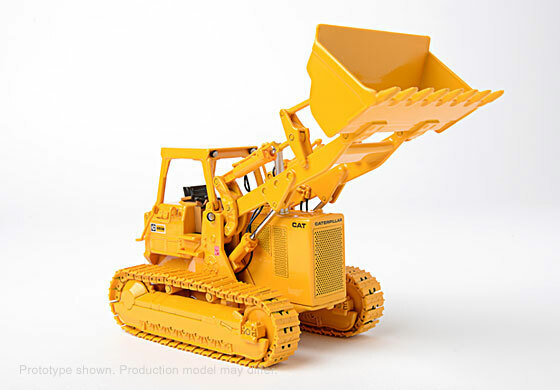 This version features an open ROPS with general purpose bucket and counterweight.